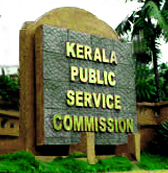 The Food Corporation of India (FCI), one of the largest Public Sector Undertakings, dealing with food grain supply chain management, invites application for the Post of Management Trainee (Technical/ Civil Engineering / Mechanical Engineering / Electrical Engineering) for manning posts in its Depots and Offices spread all over the Country. Posted in Agriculture, Apply online, Civil, Electrical, Government Job, Job After Btech, Management Trainees, Mechanical. Tags: 2015., Apply online, FCI, Food Corporation of India, Govt. jobs, Last Date: 02 July, Management Trainee on June 1, 2015 by kavita joshi. 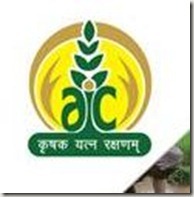 BE/ BTECH (Agriculture/ Computer Science/ IT)/ MCA required in Agriculture Insurance Company of India Limited. Posted in Agriculture, Apply online, Computer Science, Government Job, IT, Job After Btech, MCA. Tags: 2013., Admin. Officer, AIC of India Limited, Govt. jobs, Last Date: 20 May on April 27, 2013 by kavita joshi. IOB Indian Overseas Bank | Govt./ Bank Jobs | Specialist Officers Recruitment | Last Date: 31 October, 2012 | Apply Online. BE/ BTECH (Agriculture) required in Indian Overseas Bank. Posted in Agriculture, Agriculture Engineering, Apply online, Bank job, Freshers, Government Job, Job After Btech, Without Experience. Tags: 2012, Apply online, Govt/ Bank Jobs, Indian Overseas Bank, IOB, Last Date: 31 October, recruitment, Specialist Officers on October 20, 2012 by kavita joshi.